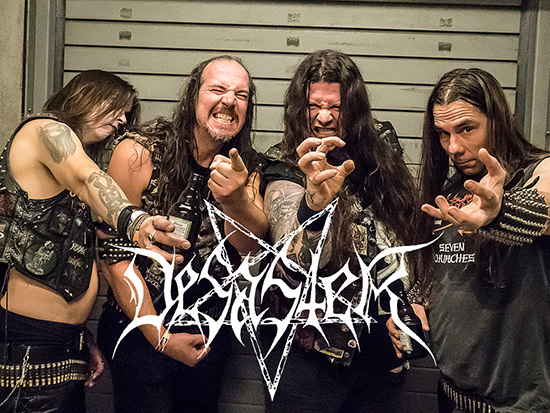 The history of Desaster goes back as far as 1988 when two young metal maniacs from Koblenz, Germany decided to follow the path once paved by bands such as Hellhammer and Destruction. 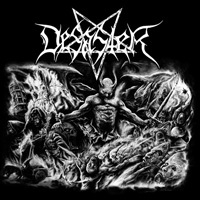 The band played their first and now legendary live concert in 1989 – which also marked the official birth of Desaster. 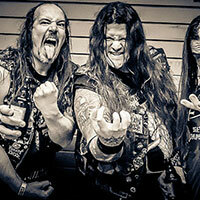 After making several line-up changes between 1990 and 1992, original member/guitarist Infernal soldiered on with vocalist Okkulto and bassist Odin. Upon hearing the group’s first two demos, The Fog of Avalon (1993) and Lost in the Ages (1994), Merciless Records released a Desaster / Ungod split 7″ in 1995, before Desaster‘s debut album, A Touch of Medieval Darkness, was unleashed in 1996. Garnering respect in underground circles worldwide, the band then released their Stormbringer EP (1997) and welcomed new drummer, Tormentor, to complete their line-up. 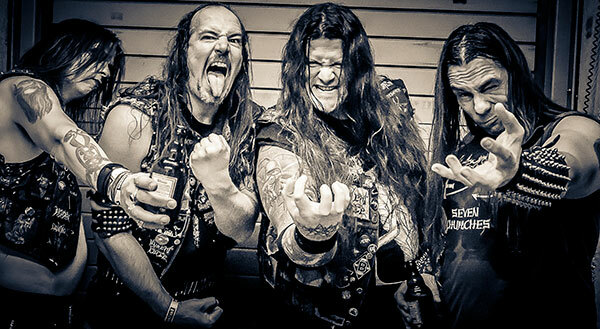 Hellfire’s Dominion – Desaster‘s second full-length – was released in 1998, containing the speed metal, fan favorite track, “Metalized Blood“, which featured guest vocals from Pentacle‘s Wannes Gubbels, Violent Force‘s Lemmy, and Living Death‘s Toto. The follow-up to this highly successful album, Tyrants of the Netherworld, arrived in 2000, and soon after, the band introduced new vocalist Sataniac, from German black-thrashers Divine Genocide. 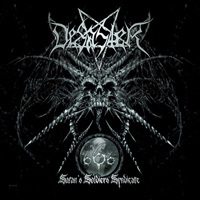 After their fourth album, Divine Blasphemies (2002), Desaster joined Metal Blade Records, which released 2005′s Angelwhore and 2007′s Satan’s Soldiers Syndicate – the latter offering an array of riff-heavy neck-breakers that proved that the band was more aggressive and murderous than ever. 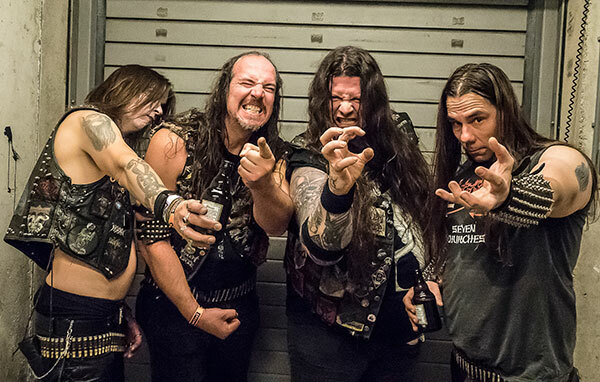 Even having reached their 20-year anniversary mark in 2009, Desaster showed no signs of slowing down and went on to release 2012′s The Arts of Destruction to rave reviews. 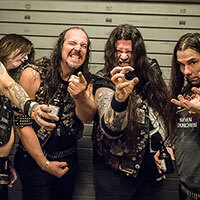 Now, with their eighth studio album – The Oath of an Iron Ritual – fans can expect a barrage of uncompromising metal, that’s been perfected by the German quartet over the last 27 years. Prepare for cutting riffs, pummeling drums, growling bass, and hellish screams! Bang or be banged!